Jason Dressen is a physics professor at second rate Lakemont College in Chicago. A family man, content with the choices he’s made and his station in life. But, maybe there is some regret, a few “what ifs” that haunt him from time to time. But when Jason is kidnapped at gun-point and taken to an abandoned power plant, he knows exactly what is important to him, exactly how much his family and comfortable life mean to him. As he begins to lose consciousness from the drugs administered by his kidnapper, believing death is imminent, the kidnapper asks, “Do you regret your decision to stay with Daniela and make a life with her?” Jason answers, “No…never.” He wakes up in a world that isn’t his. 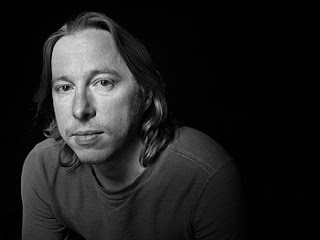 He’s Jason Dressen, a renowned, award winning physicist, successful beyond his wildest imagination. But he has never married, no son. And he doesn’t remember any of it. The novel is then about Jason’s quest to get back to his wife and child, no matter the cost, while navigating scientific breakthroughs that he discovered, yet doesn’t understand. 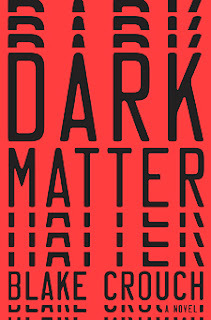 DarkMatter is Black Crouch’s eighteenth novel, but the first I’ve read. It is a science fiction mystery, not something I usually read, but after hearing so much about it from so many different people, I had to give it a try. The science was a little over my head, but no so much that I didn’t understand the implications it had on the rest of the story. Mr. Crouch does excellent work in the development of Jason Dressen, something that seems hard to do in a fast paced thriller. A man who starts as a content, humble, and somewhat timid man has to become more than that to accomplish his goal. He not only needs to find his strength, but also a viciousness that most of us hope we never need; and to learn that sometimes love means letting go. The challenges he faces in the alternate realities force him to do that, but if he’s able to find his own world, his Daniela, will he be the same Jason he was when he was taken? Science Fiction readers will love Dark Matter, I’m sure. But if you’re a mystery/thriller lover, step just outside your comfort level and give it a try. I expect you’ll be thrilled you did! Crouch, Blake. Dark Matter, Crown, July 26, 2016. A copy of Dark Matter was provided to The Thirty Year Itch by the publisher via NetGalley.com. No compensation was provided for this review.